You are buying the Kendall Tenderwrap Unna Boot Bandage 4"x10 YDS Each, Model # 8034. 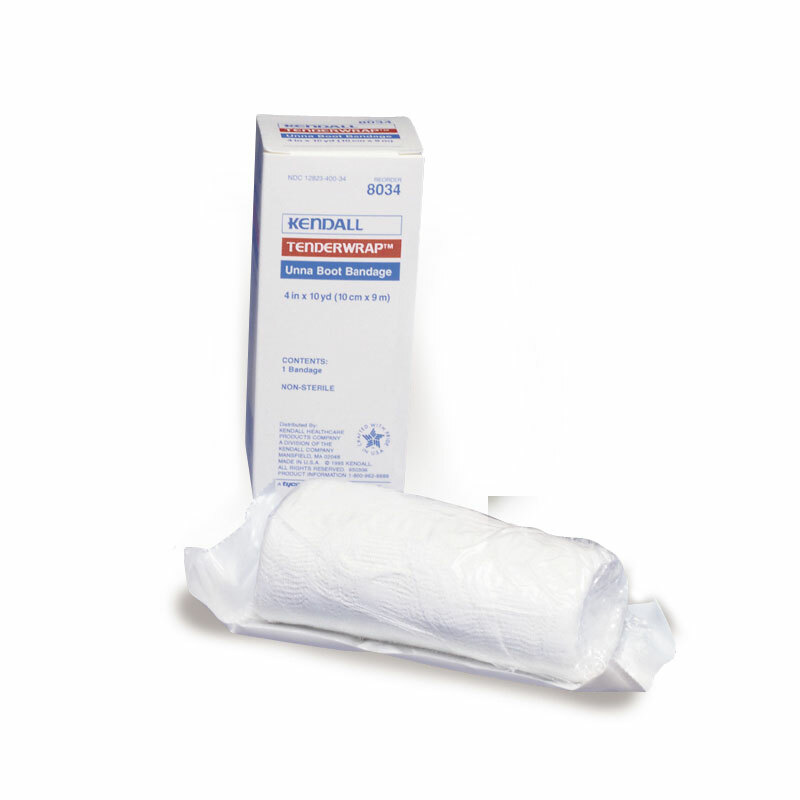 ADW Diabetes offers a complete line of wound care products by Kendall. We offer these items in single boxes as well as case packs for your convenience. Trust ADW Diabetes for all of your diabetes and medical product needs. Kendall Tenderwrap Unna Boot Bandage 4"x10 YDS Each, Model # 8034 is a compression dressing that uses a zinc oxide paste which is flexible enough to allow for movement. This bandage conforms well to leg contours for a comfortable fit and provides extra relief from pain and itching. This compression dressing is formulated with a nonhardening zinc oxide paste which allows the bandage to remain flexible. The Kendall Tenderwrap Unna Boot Bandage comes with calamine, which encourages patient ambulation and compliance. The boot bandage is gelatin free, eliminating the need for preservatives. This in turn reduces the chance of adverse skin reactions. The bandage delivers firm, even compression therapy for a multitude of bandaging needs.